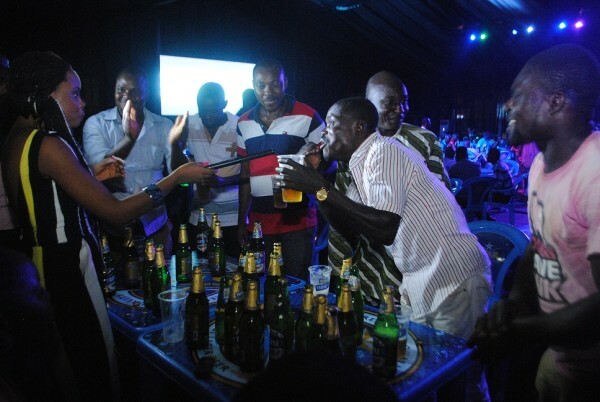 As competition heats up in the beer segment of the alcohol beverage market, Nigerian Breweries has unveiled a brand extension of its flagship beer, Star. The new beer is called ‘Star Triple X’. 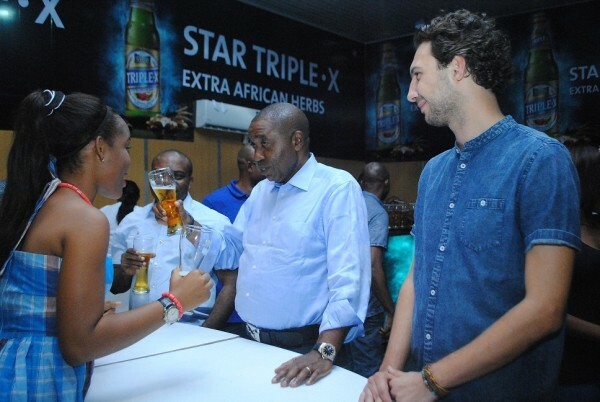 Star Triple X is the result of a painstaking research embarked upon by Star lager beer; which had the brand asking consumers what more it could do for them. Consumers echoed that they wanted “extra”. Star “listened” and then responded with Star Triple X. The new brand is said to contain 14 natural extra African herbs like bitter kola, kola nut, ginger, etc. The beer is made from 100% barley and contains 5.5 percent alcohol, giving it an extra smoothness and rich texture with a tingling feel that lingers. 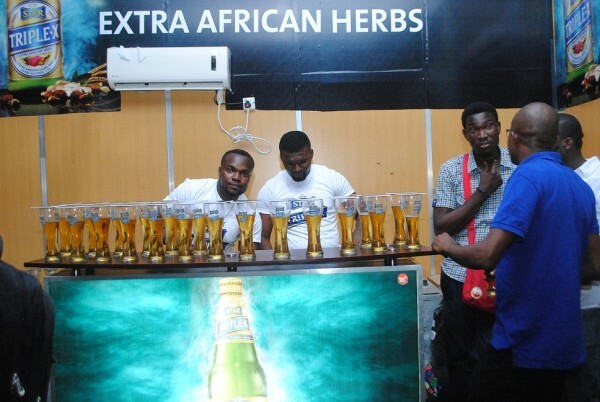 The innovative brew was formally unveiled to the public at the Polo Park Mall, Enugu, on Friday, July 3, 2015. 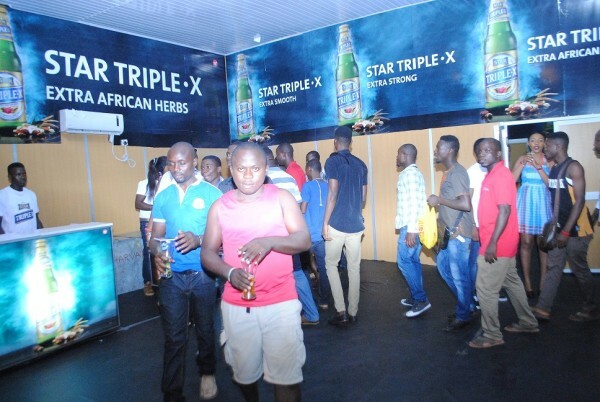 The Star Triple X beer launch was wholly dedicated to consumers as the brand constructed an Experience Centre to enable the scores of visitors connect with the new brew. 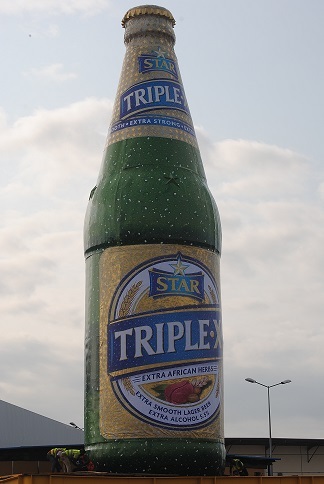 A gigantic mock Star Triple X bottle was also built. 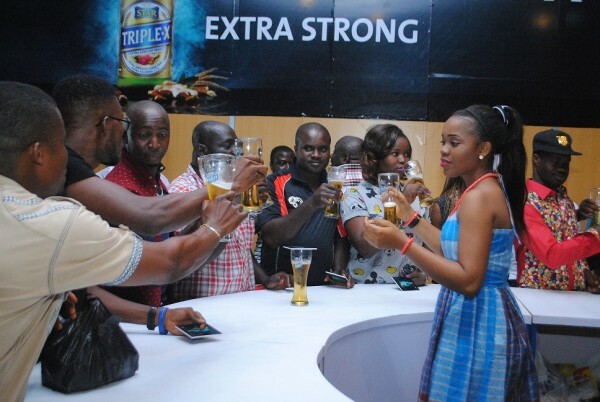 It measured 70 feet from the ground, making it the biggest bottle ever constructed in Nigeria. The huge bottle could be sighted from afar by people that approached the Polo Park Mall and its environs. 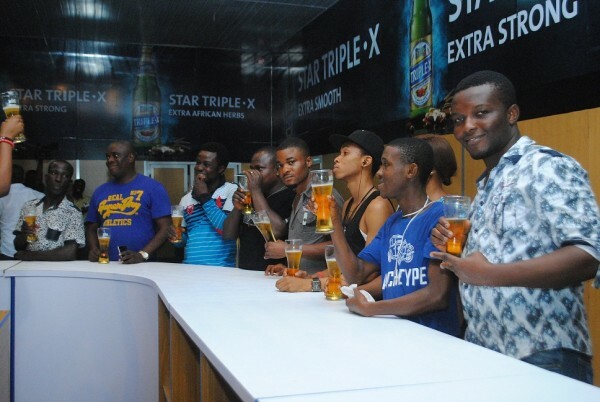 Visitors who arrived to witness the launch were taken through the process of brewing Star Triple X at the Experience Centre. The ambiance of a brewery was simulated, complete with mild sprinkling of water and bubbles, which are essential components of beer. The screen also beamed a mini-documentary, which revealed the brewing process and ingredients for the product. 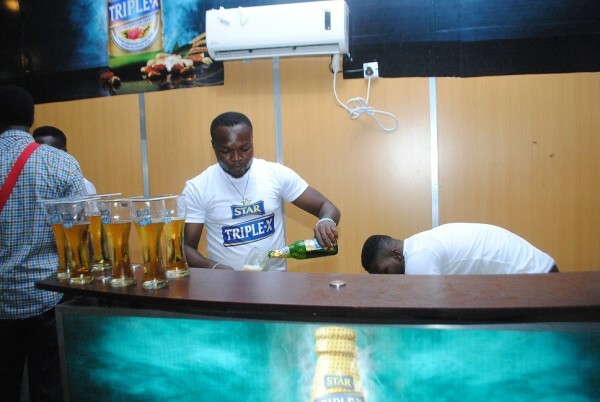 On why Star launched the Triple X extension, Chidike Oluaoha, Senior Brand Manager, Star Nigerian Breweries Plc., emphasized that it was a response to consumers’ demand for extra. He said: “We are a consumer inspired and a brand led business and at every particular point in time, we go the extra mile to ensure that we provide superior satisfaction to our consumers. And one way we try to do that is to always check with them to know what they want. We asked the question in our usual way of checking with our consumers, what more do you want? And that question elicited one answer from them and that answer is, we want extra! When we probed deeper, we got more insights into what we needed to do. And that gave birth to Star Triple X. The Triple X in the name stands for Extra Smooth, Extra Strong and Extra African Herbs. We know that Nigeria is big on herbs. Nigerians believe that herbs have medicinal and health benefits. So we decided to come up with a proposition that will encapsulate the extras that our esteemed consumers want“. 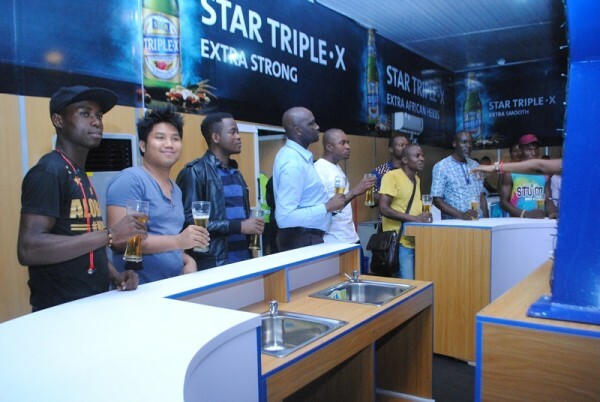 Speaking on the rationale behind the unique launch of Star Triple X, Chidike further stated: “Having produced such a fantastic product, we also wanted to introduce it to our consumers in an extra exciting ambience with an extra first-of-its-kind experience. You can’t have a fantastic product like this, the first of its kind in Nigeria and perhaps in the world and just launch it quietly. That is why we’ve built this experience centre. We have the larger-than-life bottle that you see here, the first-of-its kind in Africa and it is quite monumental. Everything that you see here depicts the extras that this product comes with“. He added that Star Triple X would soon be available to consumers nationwide.